Road from Kili Airport to Arusha is now complete. Drive from KIA to Legendary Lodge is an hour. 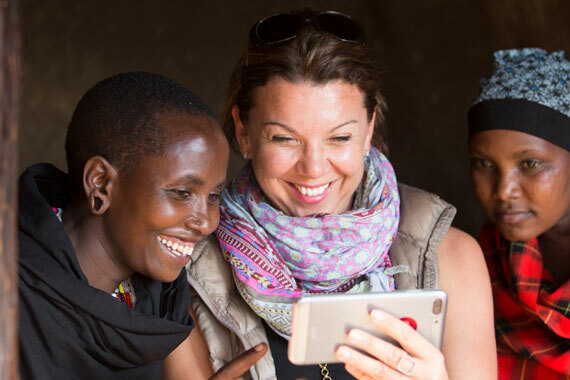 FREE AIRPORT TRANSFER between Kili and Legendary Lodge (the car even has Wi-Fi fitted, so we were able to send our families happy landings via WhatsApp). Great stay here and the team was amazing! Super food and a generous spirit of hospitality. BEST ARRIVAL was the morning flight to Kuro in Tarangire where we met our Chem Chem guide, Shaban. We had a wonderful game drive and picnic lunch before getting to camp. Great day! Camp is looking amazing and they have added a new SPA TENT for relaxation time. ELEPHANT INTERACTION here is sensational. This has to rate as one of the best (if not the best) place to view and learn about elephants. 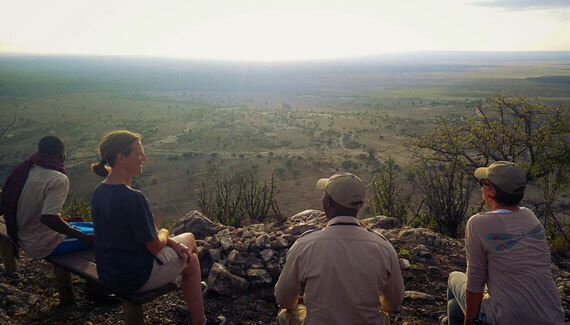 NEW ACTIVITY from both Chem Chem camps is a morning hill climb to absorb the views across Tarangire to Lake Manyara. What a start to a day - thank heavens there was caffeine at the summit! The success and spirit of the CHEM CHEM FOUNDATION are at the heart of the whole guest experience. This is not paying lip service to conservation and communities, Fabia and Nicholas, together with the team, embody their purpose every day. No, this is not a new camp! But it is certainly only on the radar of those in the know. ACCESS is from the Serengeti South Kusini airstrip. 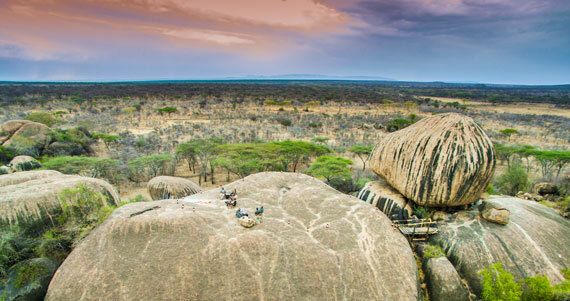 The PRIVATE WILDERNESS of Maswa Reserves (516,300 acres) must be the most exceptional safari playground in Tanzania. Here we climbed gigantic granite boulders and were overcome by the pure sense of freedom. 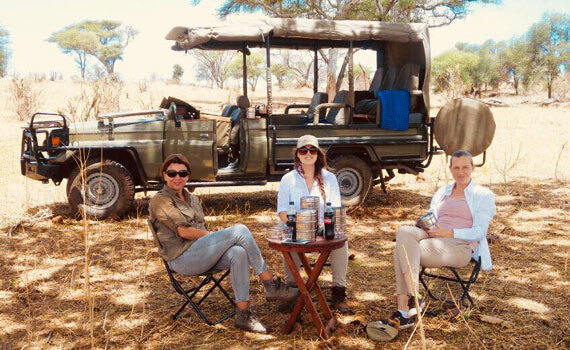 From Mbono Tented Camp, we headed southeast on a wonderful game drive for 3 hours taking in both SUBETI and MWIBA TENTED CAMPS. 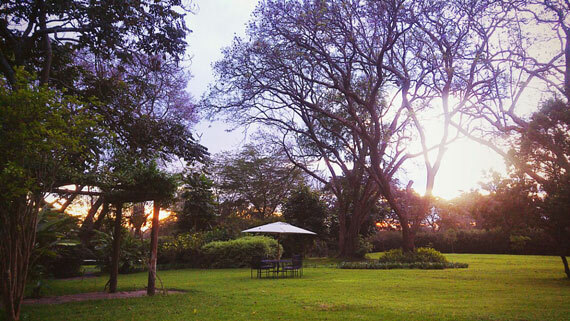 Mwiba holds a SPECIAL ENERGY which can only be understood by those who have experienced it. The CULTURAL IMMERSION has such a deep sense of truly connecting with amazing fellow souls. We spent a morning walking, hunting and chewing myrrh with the HADZABE. In the afternoon we shared images of our children with DA'TOGA mothers, before dancing and exchanging bracelets. We laughed, hugged and for that moment, were unified by our humanity. From Mwiba we drove through the Ngorongoro Conservation Area and enjoyed our CRATER RIM PICNIC away from the crowds, on top of our vehicle (banner image)! The EXTENSIVE REFURBISHMENTS of the cottages are well underway. There are exciting plans for 2018, including a SWIMMING POOL and makeover of the farmyard. Trips like this always have me reflecting on how super fortunate we are to do all of this as part of our job. I never take for granted the special moments that we share with our members, our trade partners and my team, that we get to do regularly what is for most a once in a lifetime experience. 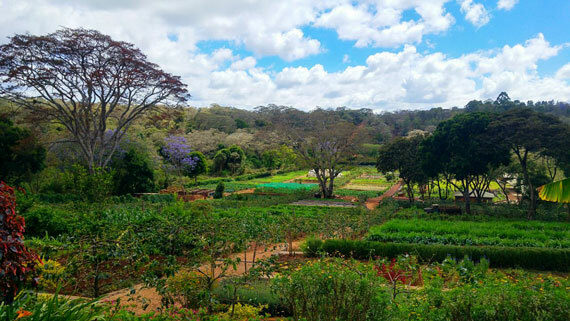 Owner run and bush home to John and Carol Coppinger, Tafika Camp is the base camp for Remote Africa Safaris, nestled in the shade of giant Leadwood trees. The remote location makes it ideal for those who really want to get away from it all and experience the bush in the true sense of the word. Situated on the banks of the Luangwa, the camp provides amazing views of the river with plenty of opportunity to see elephants crossing, hippos wallowing and king fishers darting in and out the river offering a wonderful way to relax when not enjoying walking safaris, cycling trails or day & night game drives!..